Greetings all, and a Happy Easter to those who celebrate it! I'm off uni for the week for the trimester break and now have a little bit of time to catch up on sharing what I learned in my Writing Craft lectures, which I've found is a good way to study and blog at the same time. Last post, I discussed what I learned in the first week of classes with 'Beginning to Write'. 'Research: Observation and Accuracy' was the topic for the second week of classes, so here's a recap of what I learned. 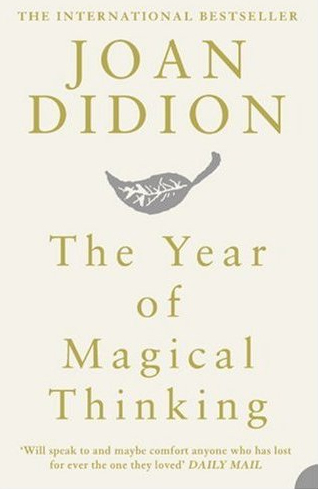 Readings for this week were The Year of Magical Thinking by Joan Didion (pages 3-8), Underworld by Don DeLillo (pages 11-24) and Spring Snow by Yukio Mishima (pages 3-27). During these sessions, we discussed a writer's attention to detail, and how we must always be paying attention to detail, even when we are not writing. This is an exercise that all writers can part-take in. Our lecturer and my tutor, like any good writing teachers, stressed that we should not generalize because it's boring, as are cliches. When we write, we need to find something fresh. This is why it is important for us to pay attention to details in our every day lives and then pick the things that you notice, but that no one else is paying enough attention to. When we write, we should be creating or describing a clear and specific world, filtered through our own minds. This also means writing about the bad, not just the good, and writing about things that might not be appealing, but are interesting. When it comes to attention to detail, we also need to decide how much is too much and how much is not enough. Of course, not everyone will be in agreement, but we should consider that not all detail is purely visual. The use of all perceptions - sight, taste, touch, smell, sound - adds to a more accurate and well-rounded description. Then we need to consider what details are relevant to the story and find a balance between crisp and vivid detail vs pedantic and cumbersome detail, which are sometimes necessary. After this lecture and tutorial, I had a lot to think about. I began to notice how much I payed attention to and was happy that I'd already been doing this in my everyday life. But putting those things on paper is something I always think in the moment I could write about this and then forget about it. So it's something I can now aim to do more of. Maybe you'll see some random flash-fiction a little more often from me. My first assignment for Writing Craft was about sketching a picture using words, which I mentioned in an earlier post. I've already handed this assignment in and I was comfortable with the product. The point was not to create any story or plot or character development, but simply to describe something. I described the pin-board in my room and I'm hoping I managed to delete all of the cliches. How much detail do you pay attention to? In my experience as a reader, it's often those details that really make a piece of writing resonate. And the detail doesn't have to be setting, it can also be detail in dialogue or the way a character thinks or feels. When you read something like that, something done well, you think, "Yeah, that's just so true!" I try for that kind of thing, and I'm told I can hit it pretty well, but I'm the Doubting Writer, so I'm not so sure, hah hah. A break already? You just got there! Enjoy it. I agree, they really complete a piece of writing. Of course, I forgot to mention the detail in dialogue; like in the Seinfeld pop-tart skit when it wasn't just his head that blew off, but specifically the back of his head. I can't believe there's a break already, but I think the next part of the trimester is going to be a little longer. I hope it will be... time is flying way too fast! But I'm enjoying it. Happy Easter! I'm just average in putting details in my writing. Because I write about foreign countries, I sometimes insert details into the storyline to make it more authentic, but mostly I don't, maybe because it's hard work ..:). But my main comment today is about you posting about what your professors teach you .. and that's wonderful and educational to readers like me who didn't took any courses in writing. 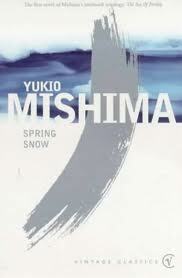 In essence you teach us a creative writing in your blog, which will be useful to many writers. My first thought was how we can spread around to more writers to come and read your lessons from your professors. I don't recall seeing this in other blogs, although I no longer read many blogs like I used to. Hopefully you are not overwhelmed with all the new information you learn about what to do and what not to do in writing. I will find it difficult to process all the new information and implement it in my writing. But I'll try to implement more the .. sight, taste, touch, smell and sound. Waiting for your next Recap. I'm glad you think the recaps are useful to other writers on blogger. I was hoping they would be :) I'm sure that not every writer will have to try and implement everything that they tell us to do and not do to in classes; there is an exception to every rule after all and I'm sure there are plenty of published authors out there who never took a writing course. I think adding details to your story to make it authentic, especially when writing about foreign countries, is a great idea. You always encourage me to incorporate parts of Australia to my writing, which I'm really happy about, so I understand where you're coming from. Next recap will be around shortly :) Thanks for stopping by, as always! I'm terrible and would be a dreadful witness as a result. :/ That's not a good thing! Maybe start by practicing observation in suspicious or dangerous circumstances? Haha, it's helped me in legal situations before. I often think I should buy a book about how to write, but now I don't need to if you keep sharing what you are learning. Thanks!! Haha well I'm glad you think this is helpful! :) While books about writing are helpful, I think this sort of interactive environment of blogging is better, just personally. Yeah definitely... the things you see that nobody else notices. The things you really need to look at carefully to see at all. Writing Craft: Pace / Writer's Update.